GASTONIA, NC – If you’re a pizza fanatic and have traveled down Franklin Blvd. 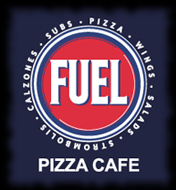 in Gastonia recently you surely have noticed that Gastonia’s best pizza parlor – Fuel Pizza (located at Franklin Square) – has changed names. Several weeks ago my disbelieving eyes read the horrifying sign which now hung where the so-familiar Fuel Pizza signboard once stood: GASHOUSE GRILL NOW OPEN. Instantaneously, I erupted into a cold sweat and commenced to tremble and quake in terror. Shock and panic were the first reactions I recall as I slowly began to regain some sense of consciousness. Impulsively, I began to experience a strong sense of dismay and trepidation about the reality of what this ominous, foreboding omen was revealing to me. “F-F-Fuel P-P-P-Pizza is gone,” I somehow eventually managed to stammer to my wife. I couldn’t answer. Heck, I couldn’t speak (still can’t but that’s another story) so I pointed my palpitating finger in the direction of this demonic harbinger of doom. “Fuel Pizza’s gone,” she exclaimed. I nodded albeit in a rather befuddled and mystified state. She instinctively knew the next step – we pulled in to the parking lot and went in to get the scoop. Everything pretty much looked the same – automotive motif still prevalent, gas pump intact and stabilized…bar in the same location. Okay, but what about the PIZZA? Not having the time as we were on our way to an appointment which we were running late for anyway, we couldn’t stay to sample a slice of pie but were determined to figure out just what the #&%@! was going on. So, the wifey (the most coherent, congenial and stable one of us at the time) began to interrogate the first hireling she could corner. After a nice, calm consultation we were enlightened and subsequently – for the time being – cautiously soothed by the fact that the proprietorship had not changed, only the name and some of the menu items. Okay, but what about the PIZZA? We were advised that the Fuel Pizza recipe we had become so enamored with was indeed the same recipe that Gashouse Grill would be using in their menu. “It’s the same recipe – we’re not changing anything,” we were told. Hmmm, I thought, sounds fishy to me. We’ll have to wait and see. So, after paying late dues for my tardy engagement appearance we decided to scrape together the last funds we had and go get us our favorite Whole Engine (green pepper, onion, mushroom, sausage, meatball, pepperoni, mozzarella) and make our verdict. After a couple nice tall draft beers and 8 slices later the verdict came in. Something wasn’t right we both agreed as we went home perplexed. For the next several days and nights I pondered our query. Perhaps it was the name – Fuel Pizza – that was missing. Was it that? “But yes, I think you’re r..i…g…h…..t,” her words trailed off as she resumed watching with her eyes closed before nodding back off. So that was it. I’ve solved the case. Now it was high time to go check my hypothesis. Again, the Whole Engine was ordered this time along with an appetizer and a Hawaiian pie to take home. “Much better this time, huh?” I coaxed her. I could tell she was sincere as we polished off the whole engine plus the appetizer and a couple beers. The crust was cooked to perfection, the mozzarella was fresh, the leftovers heated up just grand the next day – and the veggies were of ample amplitude. On appeal, the Gashouse Grill wins. The pizza is the same as it was. Only the name has changed. Perhaps it was just the loss of a good friend – that rusty ol’ Fuel Pizza sign missing – that was lacking on that first visit. Either that or we had a skimpy vegetable chopper that night. Either way, we welcome Gashouse Grill as our new friend and will be re-FUEL-ing (hehe) there again next lap around. Your favorite pizza? I want to know. Best restaurants around? Tell me…Please!